The Johnson Shoyama Graduate School Students’ Association (JSGS-SA) is the main interface between the graduate student body and the faculty and administration. 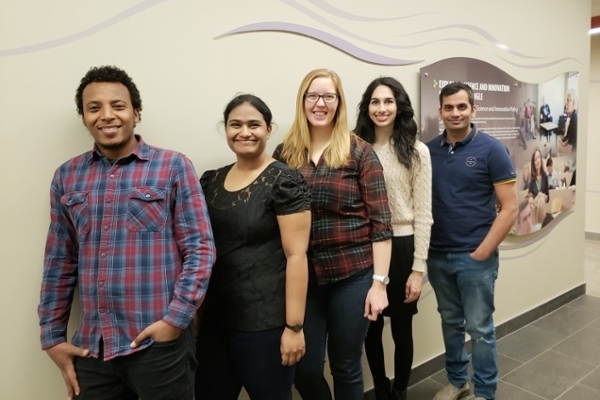 Representing all students of the Johnson Shoyama Graduate School (JSGS) at both the University of Regina and University of Saskatchewan campuses, the JSGS-SA's core aim is to serve its fellow students by making everyone’s experience as rewarding and enjoyable as possible. What does the JSGS-SA do? While much goes on behind the scenes, the JSGS-SA's most recognizable activities are its social and professional development events. These include networking events such as the annual ‘Wine and Cheese’ in Regina, community outreach and volunteer activities such as food drives, and social events such as trivia or bowling. What does JSGS-SA look like? The JSGS-SA organizational structure is consistent with the one-school, two-campus flagship approach of the JSGS. 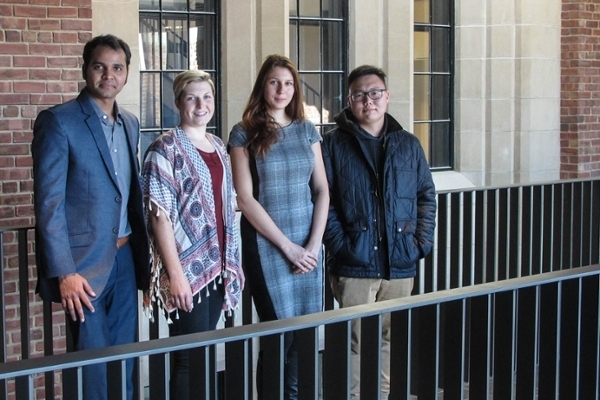 Each campus has a respective association (JSGS-SAR in Regina and JSGS-SAS in Saskatoon). Both JSGS-SAR and JSGS-SAS have a core executive group, which consists of President, Vice President, Secretary, and Treasurer. These members will be elected during the third week of September. Role descriptions will be provided prior to the election. In addition to the core executive group, the JSGS-SA has also defined a number of key roles where you can get involved. These “lighter options” include positions such as the social events and volunteer coordinator; communications and social media coordinator; and wine and cheese coordinator(s). Interested in helping but not wanting a formal role? The JSGS-SA encourages you to volunteer at any point throughout the year as a “member at large”. You’re welcome from the first to the last day of your program, and any duration in between. Also, be sure to connect with the JSGS-SA on social media, Facebook and Twitter.